KATHMANDU, Nov 6: The primary shares of Upper Tamakoshi Hydropower Ltd (UTHL) have drawn overwhelming response from investors as the offering has been oversubscribed by nearly four times. Roshan Jung Karki, a deputy manager at the Citizens Investment Trust (CIT) -- the lead issue manager of the UTHL's initial public offering (IPO) -- told Republica that the hydro company's 15.89 million units of primary shares worth Rs 1.59 billion drew subscriptions worth over Rs 6.32 billion. The face value of each share is Rs 100. The offering closed on Monday. The company received 327,000 applications for 63.15 million units of shares worth Rs 6.32 billion by 6 pm on Monday, according to Karki. “The subscription amount and number of applications is likely to go up further in the final tally,” said Karki, adding that the final figure will be available by Tuesday. The subscription is likely to cross Rs 6.5 billion. Each investor is likely to get at least 40 units of shares, according to officials of the issue manager. The hydropower company, which is building the mega hydro project by mobilizing domestic resources, is offering 15 percent of its shares to the general public. This 15 percent primary share is in addition to 105.9 million units of shares which were allotted to the project-affected locals of Dolakha district last week. Public shareholders, including the locals of Dolakha, will hold 25 percent ownership in the project. According to CIT officials, the share allotment process could take at least two weeks. "It will take time to sift through the applications to make sure that members of Employment Provident Fund (EPF) and others, who have already received shares of the hydropower company, do not get chance to participate in the allotment again," he added. Though the application process for the primary shares for general public was carried out through Centralized Applications Supported by Blocked Amount (C-ASBA) system from member banks of ASBA, the issue manager could not block previous applicants of the earlier offering which was conducted manually. 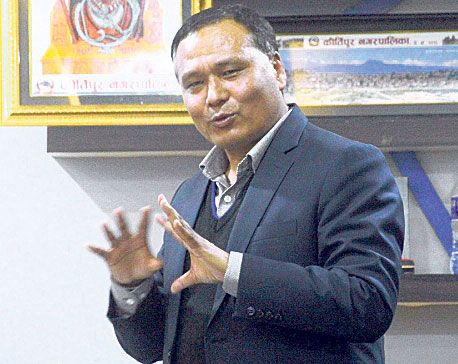 “As those who have applied and received the shares could also apply for the shares, we will first disqualify them and proceed with the allotment process,” said Karki, adding that the process will take at least 15 days. Similarly, 18.3 million units of shares, or 17.28 percent, have already been allotted to the members of Employees Provident Fund, while staffers of EPF and the project received 2.88 percent of the shares or 304,290 units. Staffers of UTHL and NEA have been allotted 3.84 percent, or 4.07 million units, of the shares. The 456-megawatt peaking run-of-the-river hydropower project is expected to start generation by mid-July next year. The project is eyeing commercial generation by mid-November, 2019.